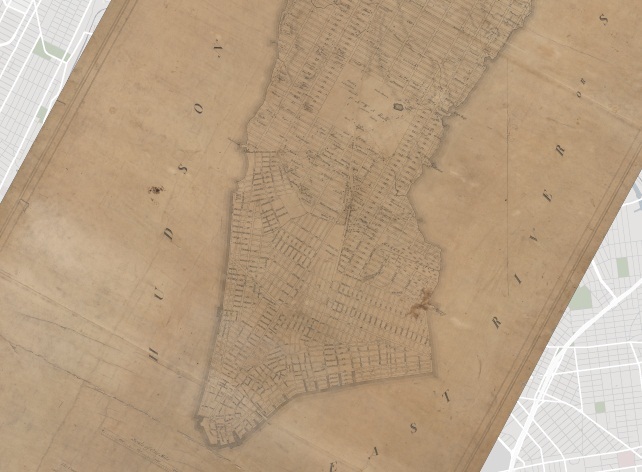 Yesterday was the 200th anniversary of the Manhattan grid: John Randel’s plan for seven miles of 90-degree grid was certified by the street commissioners. There’s an interesting article about the map, apparently described recently as “the single most important document in New York City’s development” in the New York Times. What’s really impressive is how little has changed since the 1811-proposal was made! You can toggle between today’s grid and the original map, here, using the slide bar. Amazing.